�Spas offer a precious refuge from a frenzied lifestyle. A time and place to relax and disconnect from the world as you recharge your mind, body and spirit, and an opportunity to bring your physical, mental, emotional and spiritual selves back into alignment. In whatever amount of time one can afford, spas provide peace, relaxation and guidance to help create a healthier lifestyle.� described Dr Nadine de Freitas, Managing Editor, Les Nouvelles Esthetiques, South Africa. 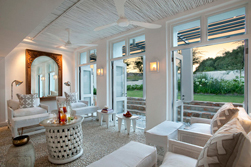 The Les Nouvelles Esthetiques Spa Awards Day Spa Category Finalists were Brigit Filmer Spa & Skin located in the tranquil surroundings of the upper highway area of Gillitts, KwaZulu-Natal. Owner, Brigit Filmer, has been in the skincare industry since 1983, offering guest a wealth of expertise, while allowing guest to� take time to relax and benefit from a personalised programme of treatments. Annona Day Spa, a magnificent venue in Rissiville, Vereeniging, a 45-minute drive from Johannesburg. Annona Day Spa is truly a unique experience in ultimate revitalization, pampering and destressing for both men and women. Casa Mia Health Spa is nestled among citrus trees in Addo on the tranquil banks of the Sundays River Valley. Casa Mia Health Spa boasts 6 specialized treatment rooms with a Mexican theme, pool, sauna, and steam room, hydrotherapy bath, indoor/outdoor showers a double treatment room for couples and Jacuzzi. Bushmans Kloof Wilderness Reserve & Wellness Retreat, winner of the Unique Spa Concept Category is an extraordinary haven, nestled at the foothills of the Cederberg mountains, just 270km from Cape Town, and the ideal wilderness getaway to escape, restore and relax. The reserve is a natural playground for those who want to reconnect with themselves and the essence of life, with wide open plains, mystical rock formations, crystal clear water falls, and an abundance of flora and fauna. The spa is a sanctuary to wellness, well-being and holistic healing, where one�s spirit, mind and body can truly let go, and soothing pampering and restorative treatments are complemented with unique products made from indigenous rooibos, flowers and plants. 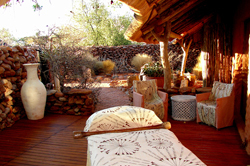 Treatments can be enjoyed either in your room, on your own private veranda or even in some of the cool, rocky shelters that were home to the San thousands of years ago. Each year the judging of the Unique Spa Concept Category is always extremely difficult, as all spas in this category are very different from one another, but we are proud to announce the finalists in this category: Umngazi River Bungalows and Spa, set high on the Umngazi hillside, with breathtaking views of the coast below, guests are treated to a secluded, tranquil spa experience, which is difficult to beat. Dedicated, professional therapists are on hand with a full range of spa treatments and therapies, each enjoyed in treatment rooms, complimented by a private spa baths, inviting the same spectacular views of the beach and ocean. Prana Lodge Thai Spa and Wellness Centre in the Eastern Cape, under the experienced direction of Gail Davidson, a nurse and highly qualified Wellness Coach, advocates a lifestyle approach to wellness. Inspired by her travels to the Far East to create a sacred space where people could take time out to relax and restore their energy flow, and experience a fusion of the best ancient holistic practices with modern amenities, Prana Lodge is a perfect place to relax, indulge and re-energise. And The Spa at Surreal in Bryanston, Johanessburg embraces a green escape. The green approach ensures that the planet is also cared for as solar energy powers the water and floor heating systems, whilst wind energy powers the balance of The Spa at Surreal. The environment itself offers the ultimate green escape. Nature�s leafy surrounds, a natural rockery and Koi pond are the finishing touches for your relaxation and rejuvenation. The finalists for the Les Nouvelles Esthetiques Spa Awards Boutique Hotel Category are Moloko Spa at Strahaven Boutique Hotel, a stylish and serene enclave close to the heart of the Sandton business district � but it feels a world away. Cutting edge facilities amidst timeless opulence, the Moloko Strathavon offers a tranquil sanctuary for discerning business and leisure travellers while soothing your senses and refreshing your soul at the Moloko Spa. Teremok Spa, nestled amongst the palm and giant milkwood trees and prestigoiusly positioned on Marine Drive, Umhlanga.� Every Inch of Teremok Marine� and Spa clearly illustrates the meticulous attention to detail that has gone into creating the ultimate spa experience.� And Isiphiwo Guest House & Spa, a luxury spa, which offers first class treatments by highly trained therapists. The spa is set on a hillside in the Africa bush, only 10 minutes away from Pretoria. The exquisite surroundings and elegantly decorated interior creates the feeling of ultimate calmness and relaxation, as the enthusiastic spa team take guests on an unforgettable journey. In the Safari Spa Category, our international flagship category as it represents the essence of Africa, through the combination of safari and spas, the winner was Tswalu Kalahari Spa. Tswalu Kalahari Spa is a combination of sensual spaces which combine to create an inspirational venue, surrounded by endless blue skies and the unique vegetation of the Green Kalahari, guests who indulge in the authentic signature massages performed by local therapists, will discover the Spa�s ethos of �closer to the land, closer to the people.� The indoor spa area is a natural extension of the earth, inspired by nature and the splendour of the Kalahari, with natural finishes and fabrics and simple spaces which together create a sense of tranquillity and barefoot elegance. Guests may also choose to have their treatments at an outdoor tsala, where a rustic structure protects one from the elements and is positioned to give a bird�s eye view of the open grasslands of the reserve against the backdrop of the Korannaberg Mountain range. The finalists was Duma Manzi Eco-lodge & Spa, a sanctuary offering a Unique African Wilderness & Wellness experience, providing an affordable 5 star experience with an elegance and personal touch.� A comfortable 1-hour drive from Durban lying on both sides of the Mkomazi River, Duma Manzi covers a 5000 hectare reserve, nestled in the forest valley. �This extraordinary beautiful and tranquil African Wilderness setting is the ideal retreat for those seeking privacy, exclusivity and absolute serenity, allowing one to indulge in one of the holistic spa treatments, a leisurely walk along the river bank, opportunity to explore on a mountain bike or self guided trail or simply curl up with a good book on a couch on the deck.� In fact, the only thing one could find stressful during time at Duma Manzi would be the selection of choices. �The Resort/Hotel Spa Category, as per previous years was the most closely contested category, as the countries finest hotels and spas entered the spa awards 2011, making the judges decision extremely difficult as results were once again separated by only a few points and each spa in this category quite exceptional.�� Says Dr Nadine de Freitas, Managing Editor, Les Nouvelles Esthetiques South Africa. The finalists in the Resort/Hotel Spa Category were Freesia Spa at the Hyatt Regency Oubaai, Fancourt Spa and Amani Spa, Radisson Blu Hotel, Sandton.� Overlooking the Indian Ocean along Africa�s Western Cape, one can retreat to Freesia Spa on the Garden Route, where growth and longevity await you in the splendour of the sun, offering a combination of traditional African remedies and unique European Treatments, each containing natural ingredients which endorse positive health and everlasting youth. The Freesia philosophy of energizing, calming and nourishing the body to preserve a feeling of well-being, is masterfully applied with the use of our facilities and services. Fancourt Spa, located at the world-renowned Fancourt Golf and Leisure Destination in George. Away from the hustle and bustle of everyday life, you can relax and be pampered in truly beautiful surroundings, enjoying an exclusive range of therapies, treatments and leisure activities. Enjoy a gentle swim in the heated Roman Bath, with magnificent vistas of the Outeniqua Mountains, or visit the sauna, steam rooms, chilled plunge pool, tepadarium, jacuzzi, complemented by a fully equipped gym staffed by personal trainers. Amani Spa- Radisson Blu Hotel boast Africa�s first Therapeutic Salt Room, a heated vitality pool with a surrounding relaxation deck & loungers affording spectacular views over Gauteng, as well as a Hydro Retreat which provides� the ultimate in sensory stimulation, enhanced by� heat, ice, steam, hydrotherapy and chromo therapy; Vichy Showers, Kneipp, Caldarium, Aroma Mist, Sensation shower & Sauna. Together with 10 multi-functional treatment rooms, including a duo-treatment room, a Hair Salon and Nail bar, this state-of-the �art facility can tailor make spa packages for each and every occasion, making Amani, a Spa destination �par excellence�. The winner of the Resort/Hotel Spa Category was Life Day Spa at Crystal Towers Hotel, Cape Town. Overlooking Table Mountain and the flowing water ways of Canal Walk, Life Day Spa Cape Town was created to provide sanctuary from the stresses of modern day life. The earthy yet chic decor exudes a stylishly soothing energy that will revive even the weariest body. No expense has been spared in the creation of this world-class facility.� Life Day Spa Cape Town is a proud member of the prestigious Spas of Distinction group and is famous for its dazzling facilities, supreme customer care and cutting edge tip to toe treatments. The Spa Ambassador Award goes to a person who has made the industry proud and whose presence in the industry is noted internationally. The Spa Ambassador Award 2010 was awarded to Mark Barkett of the Spas of Distinction. Mark Barkett is the pioneer behind the Spas of Distinction, a group boasting some of the countries best spas. The Spas of Distinction Collection was created to unify a successful group of unique family owned day spas under one umbrella brand. Each of the spas have won numerous awards and rave reviews from various industries and regular clients who choose to make the Spas of Distinction their spas choice when seeking pampering, relaxation and rejuvenation. The Spa Humanitarian Award is awarded to a person who by definition is actively concerned in promoting human welfare. The 2011 humanitarian award was awarded to Carina Franck from Kalahari Spas. Carina Franck, a successful business person and international ambassador for South African Skincare. Kalahari Spa has initiated the Kalahari Beads Project in conjunction with various Khoi San communities. These communities make delicate traditional Ostrich Egg Shell Beads, which are used to assemble unique bracelets, by disadvantaged women, which are sold and distributed internationally by Kalahari. The proceeds from the sale of these bracelets go towards supporting participating Khoi San families in Namibia, Botswana and South Africa. The Kalahari Bead Project will help raise awareness and bring a better understanding, appreciation and respect for the Khoi San. The Spa Visionary Award is awarded to a pioneer within the Spa Industry. A industry leader who has made truly outstanding contributions to the development of the Spa Industry over the past year and whose ideas have lead to a change or noted improvement in the spa industry. The Spa Visionary Award for 2010 was awarded to Emmy Stoltz of Spa Fusion. With a comprehensive background as a skincare therapist and spa manager for a number of spas, combined with the experience as Director of Training & Professional Development for Elemis, including the placement of Elemis in top spas and the Woolworths Beauty Departments. Emmy has combined her respective skills and experience to offers innovative mentorship programmes & consultancy to some of the countries top spas, each of which thank Emmy for her constant support, encouragement and innovative ideas, which have tangibly made a difference to each spa�s operations and development. The newly introduced Spa Management Excellence Award is acknowledges the dynamic spa manager who best keeps the balance between a motivated team, good working environment, superb guest experience, profitability, and efficient spa operations, with appreciation of the role of the spa manager is one of the most challenging in this industry. The runner �up was Corli Schoeman from Tswalu Kalahari Spa, who represents both her spa passion and leadership with skill and professionalism. And the winner of the Spa Management Excellence Award 2011 was Francicso Caceres Garcia of Mount Grace Country House & Spa. Francisco is a charming host. He is efficient, polite and wonderful with guests, suppliers and staff alike. Francisco is highly attentive and innovative and is always balancing the needs of his guests with the demands of the facility and the staff. One never feels under pressure, and he always has time to give the extra attention that keeps guests coming back to Mount Grace Spa. The staff reflects his enthusiasm and commitment, which is testimony to his leadership skills. 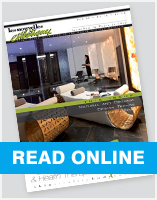 For additional information, editorial assistance and/or photographs regarding the Les Nouvelles Esthetiques Spa Awards 2011 and Special Recognition Awards 2011, contact Dr Nadine de Freitas (Managing Editor � Les Nouvelles Esthetiques SA) at Les Nouvelles Esthetiques on +27 11 447 9959 or alternatively on info@lesnouvelles.co.za.